but how long do you think that 4oz bottle will last you? @WMoon518, I have absolutely no basis on which to make a swag from, I never used CS either. At this point, it is just try it and see. I imagine it will go a lot further than CS by virtue of the 5 day use cycle. I am anxious to see how long it lasts myself. I purchased the STS because for my very first reverse attempt, I want to know it if fails it wasn't because I mixed the solution wrong. I always try to reduce the unknowns when I try something new because I am always quick to blame myself when something goes wrong and I get stuck there. This way I am using something that works for others, so if it fails, at least I am not questioning the mixture accuracy. @Cobra50 - Sounds like a sound approach. I have looked around and it seems that they are the only ones that are selling a pre-mixed solution. Is there enough empirical data to show that it works for the cost of the product? There is something to be said about using Regular seeds for seed production (as opposed to cross breeding, which I want absolutely no part of). You take a Male plant and put it next to a female plant and let nature take it's course (although I am told a little Barry White can help). Though, I am looking forward to seeing how the STS works for @ReikoX with his Juanita project. Do they have a website I searched (the need for seeds) and nothing came up. I have tried the name several ways. Still nothing, maybe an address or something like that for us. You can pm me if you would rather go that way. Yes I no it is probably expensive but a way for those of us that are afraid of mixing there own. I am a farmer not a chemist. Have a great day and better tomorrow..
Is there enough empirical data to show that it works for the cost of the product? @WMoon518: No data at all that I could find. I only know about it from either this thread or one of @Mr.Sparkle' micro grow thread. I ordered the small size. If it works like people have said it will, it is worth the cost. That said, if it works, I'll try making my own, then if my own STS doesn't work, I'll know I got something wrong in the recipe. I have no problem with regular seeds. I really do like femmed seeds though, every sprout is a keeper. My largest reason for getting STS is that I got at least 3 strains given to me that were femmed seeds. One of those is known to be very difficult to pop. If I like the weed, I'll want to be able to grow more. I've had great luck turning a branch into a herm in the past to get fem seeds but putting a black cloth bag on a branch for an hour or more. 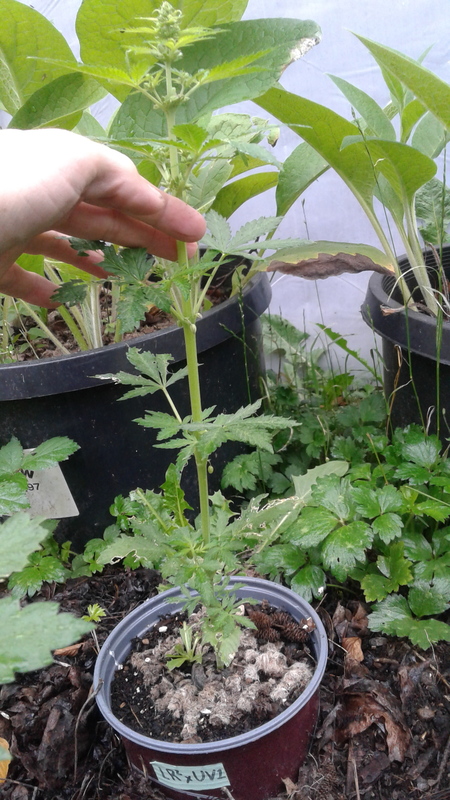 But, I found out that after I kept generating new fem seeds and not keeping the old ones, it seemed the plants got resistant to creating a herm. This then requires some pollen for seeds. My goal is to not let anyone's generosity be wasted on me. I want to generate plenty of seeds from my gifts. I intend to pay it forward when I have them. Gotta keep up the tradition. @Kelly, I wasn't able to find one. If you go to eBay and search for item "The Need For Seeds" It'll come up as the first 2 items in the list. I have no problem with regular seeds. I really do like femmed seeds though, every sprout is a keeper. I totally agree. I just have a habit of screwing things up. You can't screw up nature (well you can,but it is a whole lot of work LOL). Having done both the feminized and the regular autos, I actually prefer the results from the regular autos. 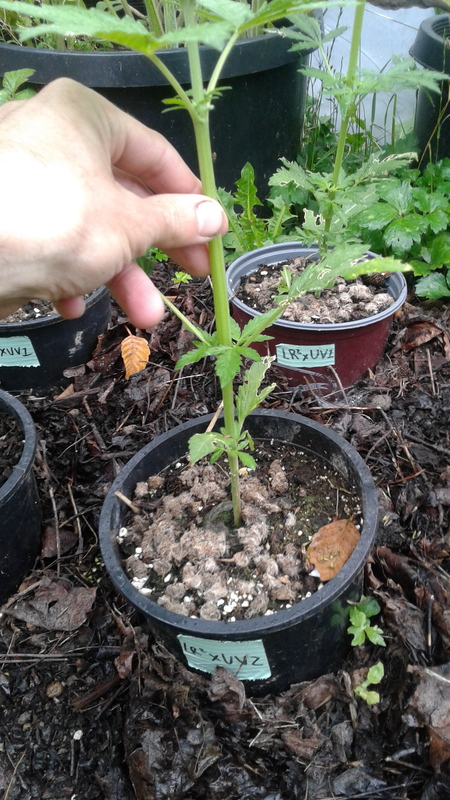 The bad part is having to cull males, but they are so fast, you can usually cull all males within 3-4 weeks from seed. The fems, however, are showing some germination and intersex issues. This attempt to reverse Juanita was a failure. Part of it was on me, I over sprayed, neglected, then moved her/him to a low light window. She died. The plant was an old bonsai mom, so that didn't help. Anyway, I may just run the Juanita project as regulars and make a fem version after the back crosses. Live and learn i guess, the intersex back crossing does open up a door to variability though that i have noticed, really just work to get past it though,. But definitely interested in what comes of the Juanita project. As i would love to play with some. I guess by using the STS your triggering a genetic shift, so its not surprising that you encounter unexpected results in the offspring. Reversing after backcrossing makes sense. @Scissor-Hanz - Those look like some huge pollen sacs. 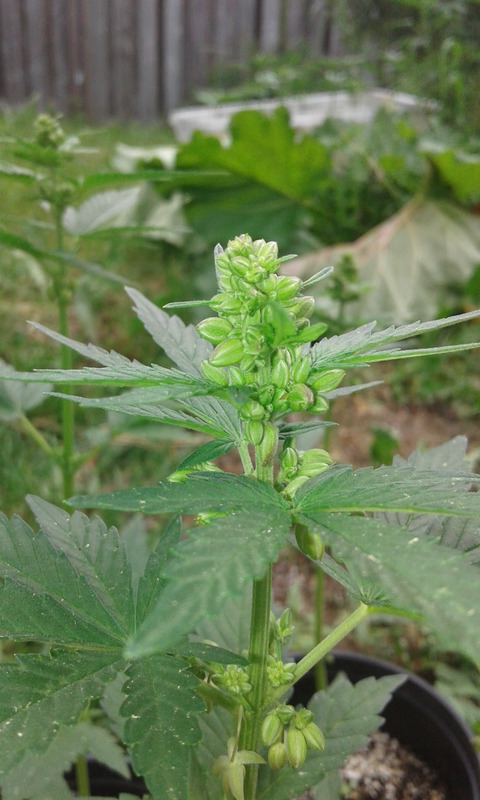 You see the really small ones, that's what I usually get, like the Narkush I just tried to get pollen from. Got loads of the little flower petals, not so much of the pollen. and 2 male LR2xUV2 late blooming plants. 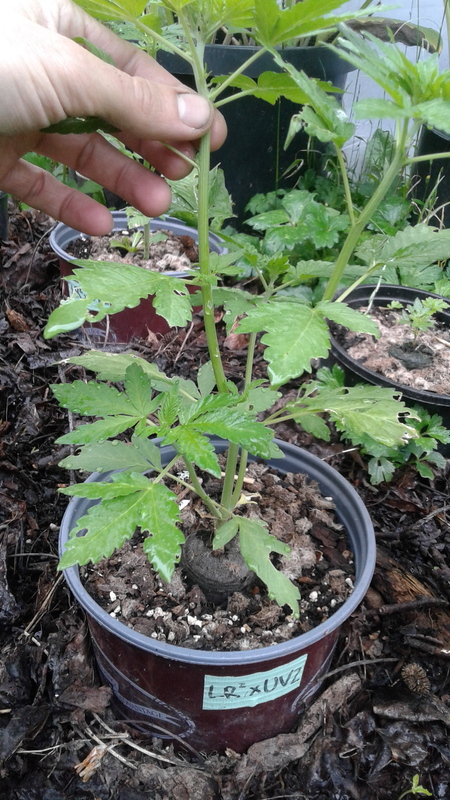 I've also gotten 1 female LR2xUV2 plant in early bloom. 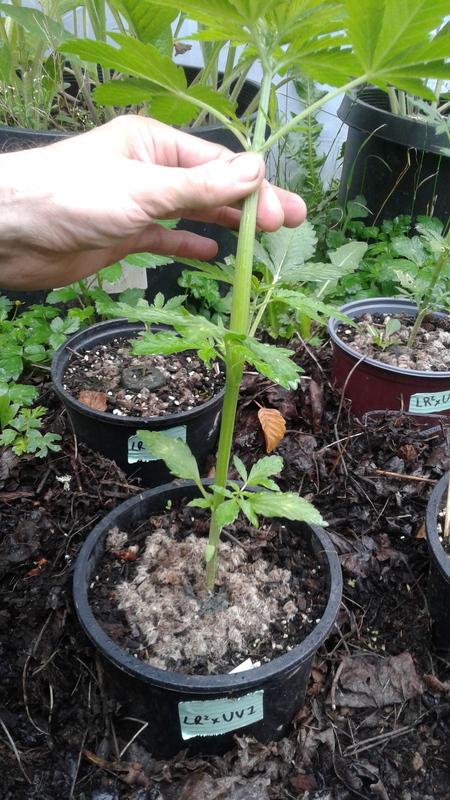 I've moved the earliest, high pollen sack count, male LR2xUV1 next to the female LR2xUV2 plant so they have the best chance of creating seeds. All of the plants look to be nibbled on by passing bugs, but most are relatively unphased by it. Glad you planted those extras? I told you they were male heavy on that cross. Houdini, your package will be sent out this week. You'll have plenty of males soon. You'll have plenty of males soon. Love seeing all the photos of autos. 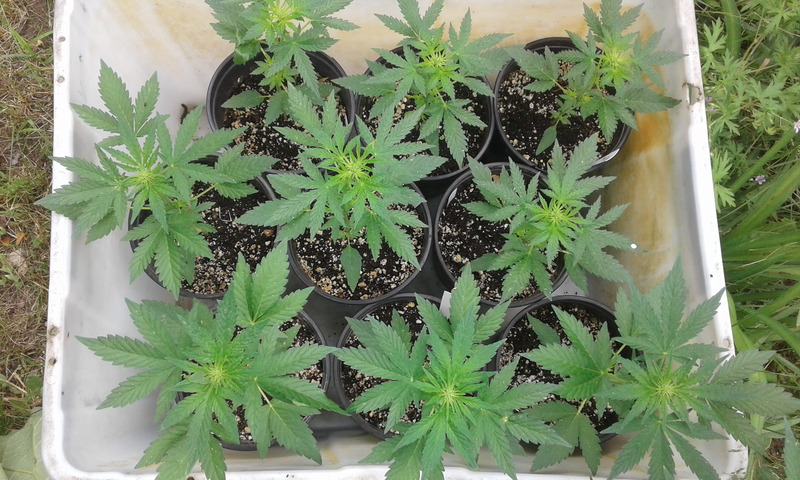 My auto females got stolen out in the forest full of female seeds about a month ago. I ordered seeds again straight away . I have 5 females that just broke the ground. Critical +2.0 x strawberry glue FEMS. Hey @billybob, thanks for stopping by my thread. I would be happy to mail you a "breeders pack" of my Lowryder crosses (details are in this thread). Hang around here, post some pictures, and join in the conversation. Before you know it, you will be swimming in seeds. I will send you a PM since you cannot do that yet. Cheers matey. I've done a few care packages to people who can't get access to seeds or a situation has come up and they have lost there strains. . good karma always comes back around (.